The right gear makes all the difference to your game – and here at CMI Toyota, we think the same way about vehicles. 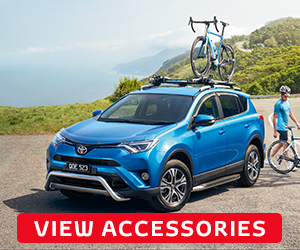 So if you’re in the forward line for a new vehicle in 2019, get your Toyota into the right gear with CMI Toyota's Adelaide Crows Member Exclusive offer – a $500 Toyota Genuine Accessories Voucher* to put towards a Toyota Genuine Accessory. 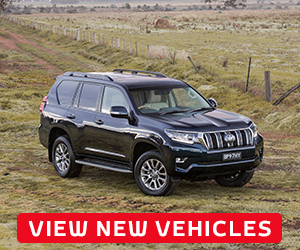 Whether tackling tough terrain with a bull bar for your HiLux, sporting stylish alloys for your Corolla, getting a rise with side steps on your C-HR, or playing defence with parking sensors for your Camry, we’ve got the Toyota Genuine Accessories to kit out your new vehicle and really make a difference to your season! Not an Adelaide Crows Member? Sign up today and you too can score a $500 Toyota Genuine Accessories Voucher* to put you at the top of your game! For more information visit crowsmembership.com.au or contact Adelaide Football Club Member Services on 08 8440 6690. For more information please visit crowsmembership.com.au or contact Adelaide Crows Membership Support on 08 8440 6690. *T&Cs apply. Open to Adelaide Football Club Members who hold any form of 2019 Crows Membership. Private and Bronze buyers only. The off er commences 1 January 2019 and expires 31 December 2019. 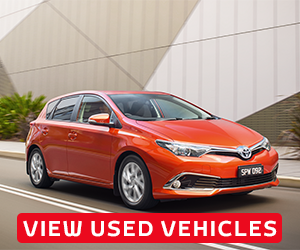 This offer can only be redeemed once per vehicle purchase per year, from an authorised participating Toyota Dealership within the Offer Period. (A) Second hand and demonstrator vehicles are excluded from the off er. (B) To be eligible, the vehicle must be purchased by and registered in the name of the Adelaide Crows Member. The Member must identify themselves as a Member of Adelaide Football Club at the time of purchase of the vehicle by showing their Adelaide Crows Member card and the card provided to the Member in the mail. (C) Toyota will honour this off er on any new vehicle purchased by an Adelaide Crows Member from 1 January 2019 to 31 December 2019. If a new vehicle was purchased prior to receiving this offer communication, please contact your local Toyota Dealership to redeem offer. (D) Off er available for Toyota Genuine Accessories only. (E) Dealer must be from within the Central Region (SA, NT, Broken Hill & Mildura). (F) For any further information or off er details please contact Adelaide Football Club Member Services on 08 8440 6690.